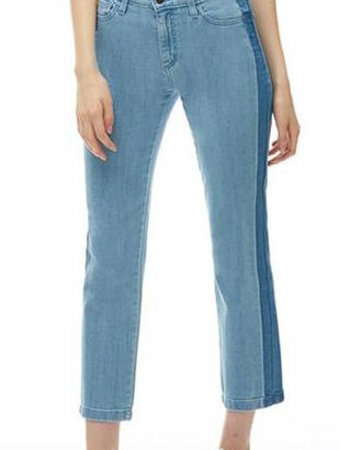 Rachel, is our skinny jeans silhouette, fitted at the hip and ankle and is worn very close to the body, creating a figure flattering fit for all body types. 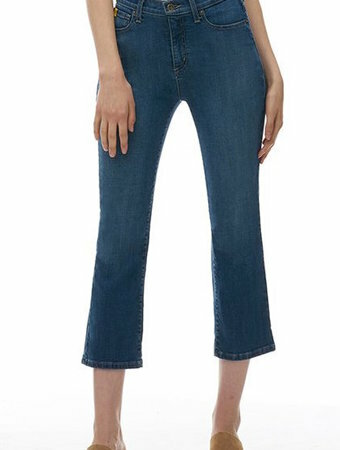 Made of a stretch denim fabric, this jean is designed to move with you like a second skin. 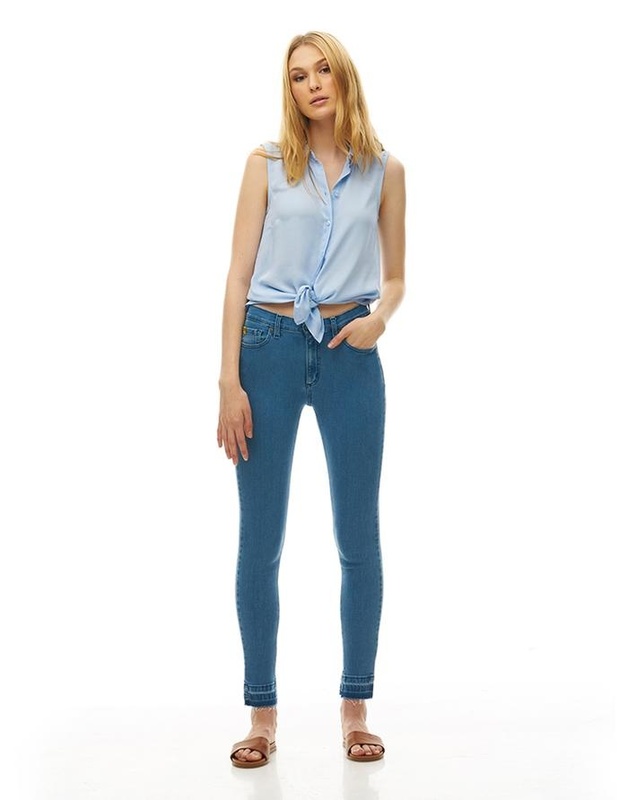 The released hem detail and blue wash make this jean a casual and fun style for summertime.